Before you call your lawn sprinkler company for a zone that will not shut off, try and troubleshoot your irrigation system first. This can be a frustrating issue when you see the zone or zones watering long after they should have shut off. It could be something a simple as a programming error, but you could also find that a mechanical error like a stuck valve or wire malfunction is occurring. We can help you with your irrigation system issues! The first thing you can do is shut off the entire system. You can do this at the control panel, the main backflow control valve, or at the system emergency shutoff valve inside your house. Whether your controller’s setting says “OFF”, “RAIN”, or “RAIN OFF”, by switching to that setting, you will shut the system off electrically. If the water stops running, the issue was in programming, and re-programming the water schedule could fix the problem. Check the run times and start times for all programs in the controller to make sure you don’t have multiple run times that you didn’t know about for a specific zone. If water still continues to run, then this is an indication that the issue is mechanical in nature. At this point, you will need to go to the water source to shut the system off. The easiest way to locate the main water cut off is to find the backflow preventer, which is usually outside along the house. You can also shut the water off at the main water connection inside the house. Now that you’ve concluded that the problem is mechanical, it is best to call an irrigation specialist who can find the problem and promptly repair it. You do not want the system to continue running because this could only worsen the issue, as large amounts of water would be wasted, your lawn could literally drown, or it can create a hazard much like a burst water main pipe. On top of that it can lead to a hefty water bill. Although the problem itself could seem enormous, troubleshooting your sprinkler system you can save yourself an emergency service call. If you find that the issue is a mechanical one, shut off the main water source and call American National Sprinkler Company to help you troubleshoot your irrigation system. 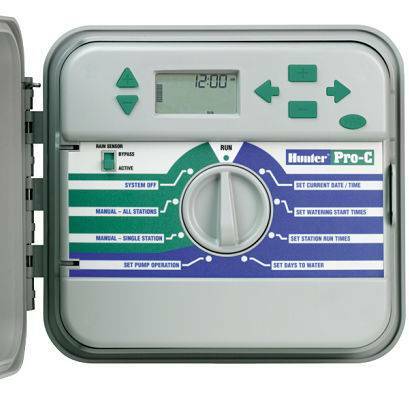 If you tried to troubleshoot your irrigation system and find that it's a mechanical issue, or you can't seem to figure out the issue, we can help you. 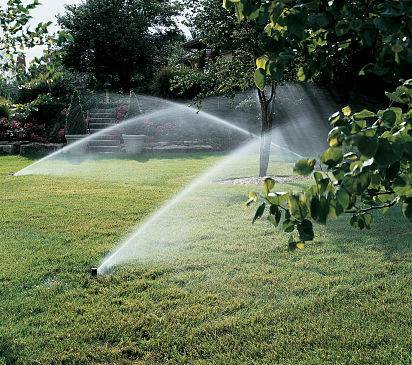 American National Sprinkler Company can come take a look at your irrigation system to determine what is going on. Our technicians can check your set up and even do a property inspection when they come to your home to make sure everything works smoothly and correctly. Call us at (847) 566-0099 or fill out our Contact Form.